Two fourteen year old boys Ian Olson and Sam Brantingham wowed their audience! Well the audience was about 20 children studying at Deepam play school, aged 3years to 6years. The little children looked at them with their eyes as big as saucers as they played games. Judy Brantingham proposed new games to play! 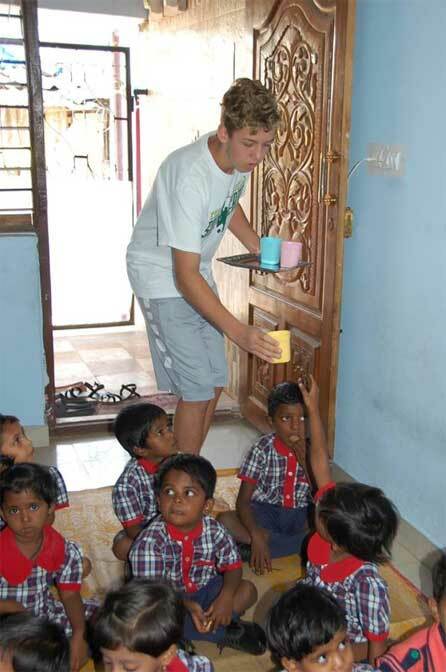 It was fun and laughter for these children who study at Deepam. Something often absent in their homes where there is abject poverty and often fights. These children come from very poor homes. Often the only meal they eat is at Deepam. 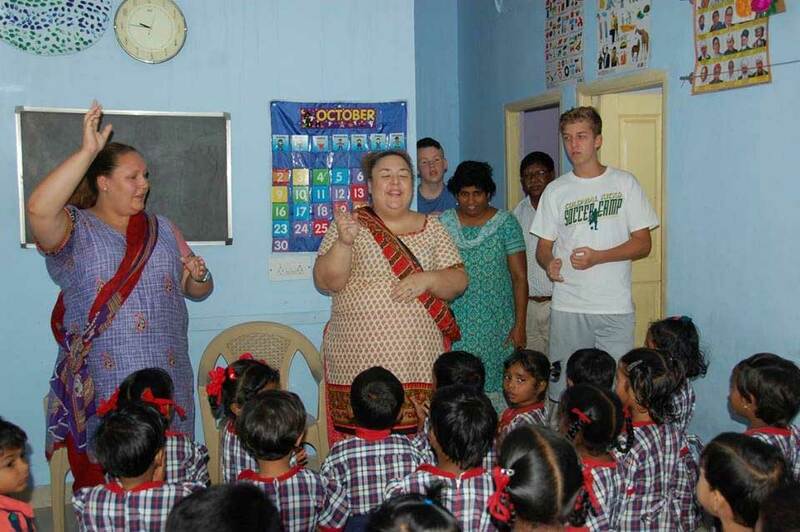 In the month of October, Melissia McGraw, Judy Brantingham and Sam Brantingham made a trip to Bangalore. 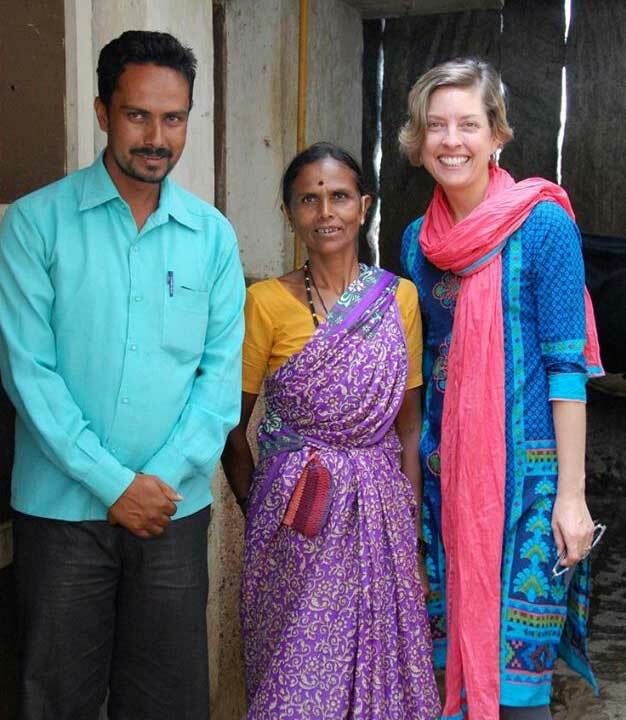 They visited the many projects in which Gathering Together is partnering and running. Melissia McGraw has seen poverty first hand as a child. She has fought to overcome obstacles and study to become a teacher. Her tenacity to do well is an awesome story. She is currently working as a teacher in Shanghai and pursuing her post graduation degree in Education and Administration. Melissia has a passion. That passion is to ignite a passion in other teachers to realize that they are catalysts for the students under them. They can be the change agents instilling hope and determination to secure a bright future no matter what the odds are. The passion is also to motivate students to work hard and know that nothing is impossible with hard work. She encourages students to dream big. 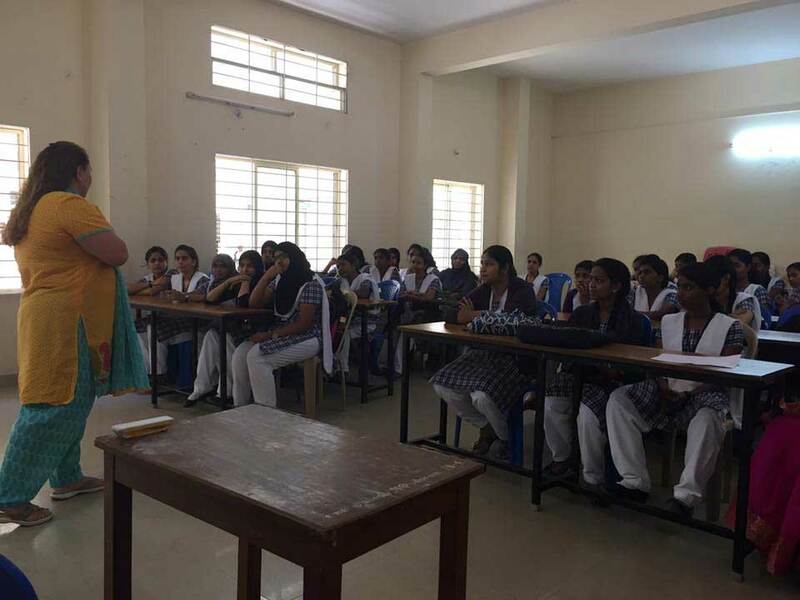 She was invited to speak to students of the Good Will Women’s Polytechnic by the principal, Mrs Ruby Premakka. Melissia McGraw inspired the students to study hard and overcome obstacles, sharing her personal life story. Most of the girls come from very poor families. Girls struggle with lack of nutrition, lack of funds for college etc. They were encouraged to work hard and to reach the sky! Thank you Melissia, for being a source of inspiration and love. Please do visit Bangalore and work alongside us with our different projects. You will be a blessing and be blest. Please do send donations for the work which is being done here. Your donation will help someone less fortunate bloom! Do join us on our trips—Remember age is not a criteria. Young children become responsible and learn leadership when exposed to the challenges faced by those who do not live with the comforts taken for granted by most developed nations. Family bonding cements trips. Life long memories remain because children have been engaged with working towards loving and caring for people across the world. Bonding of different races and tribes takes place and very special relationships are built. The Olson family made trips to Liberia and Ghana. These were very fruitful as well as packed with loads of fun, love and laughter. Visit to Devanahalli, Micro Growth projects.